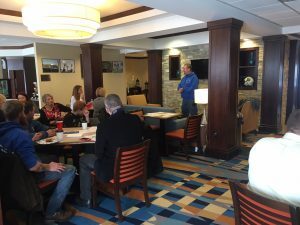 The March general membership meeting was held at the Fairfield Inn and was hosted by Stone Brother Construction. 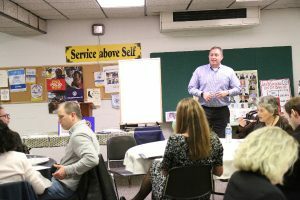 The speaker was Specialized Staffing and Industry Recruiters. 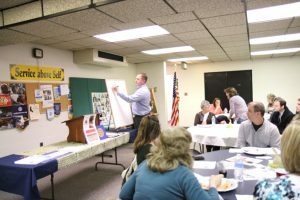 The April General Membership meeting was held at NexTier Bank community room and was hosted by Edward Jones. The speaker was Butler Radio, for over 75 years, the Butler Radio Network has been the most trusted voice of Butler County. Now, with our multimedia offerings on ButlerRadio.com and our three radio station websites, listeners have an ever-expanded way to listen to more music, special on-demand audio and video, and special programming, through their radios, computers, smart phones, and Alexa devices. 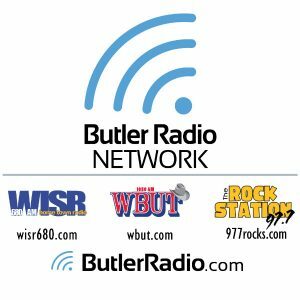 Being local is what the Butler Radio Network focuses on for news, weather, and sports for our listeners and our website visitors. SpringHill Suites Butler Centre City is Butler’s exclusive downtown all-suites hotel with spacious guest rooms which allow separate living and sleeping areas. Décor features custom designed items through the brand’s west elm® partnership. Spacious suites and vibrant lobbies offer flexible spaces perfect for working, meeting or relaxing. Indulge with a complimentary breakfast and re-energize using our fitness center and indoor pool. Stay connected with complimentary Wi-Fi and business center. Take a stroll down Main Street and enjoy the many shops unique to Butler Downtown including All About Reclaimed. Grab lunch at The Chop Shop, then delight in dinner and a craft beer at the Butler Brew Works. Located between Route 8 and I-79, our hotel is centrally located for businesses like AGR, AK Steel, and Armstrong. We are minutes from Butler County Community College, Kelly Automotive Park, and The Maridon Museum. From business trips to leisurely journeys, SpringHill Suites is a breath of fresh air. 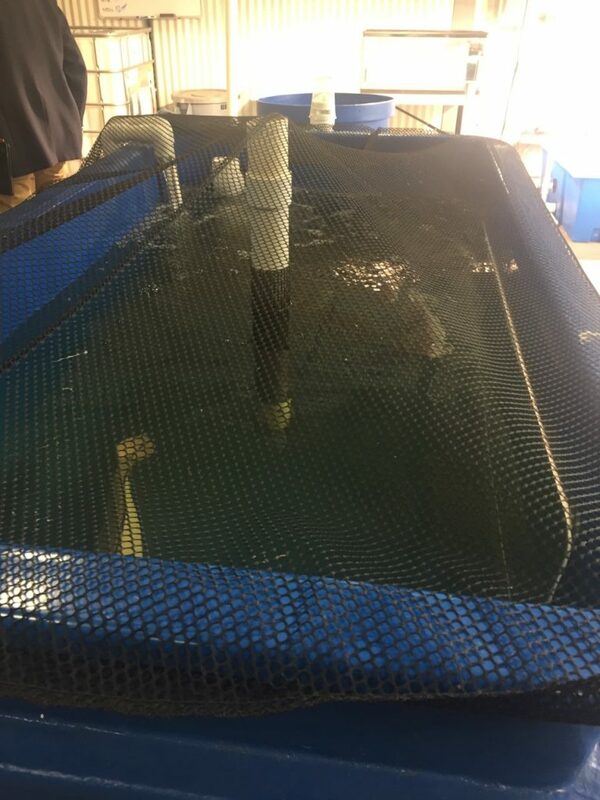 The DREAM Partnership (DREAM) has received the prestigious Mitsubishi Electric American Foundation Grant to support its Growing Together: An Aquaponics Employment Transition Program at Slippery Rock University. 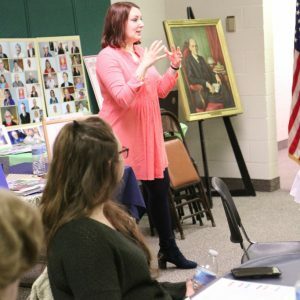 Mitsubishi Electric American Foundation announced $569,500 in new grants as part of its national M<PWR Initiative designed to empower youth with disabilities to lead productive lives. DREAM is collaborating with Slippery Rock University where the Growing Together Program will be based. 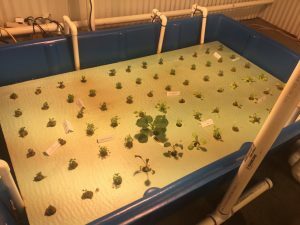 The Growing Together Program: An Aquaponics Transition Program will use the science and technology of an aquaponics system to provide Pre-employment Transition Services through a structured curriculum, job training, inclusive practices, leadership, and employment skills training to students with intellectual and developmental disabilities (ID/DD) alongside students without disabilities. 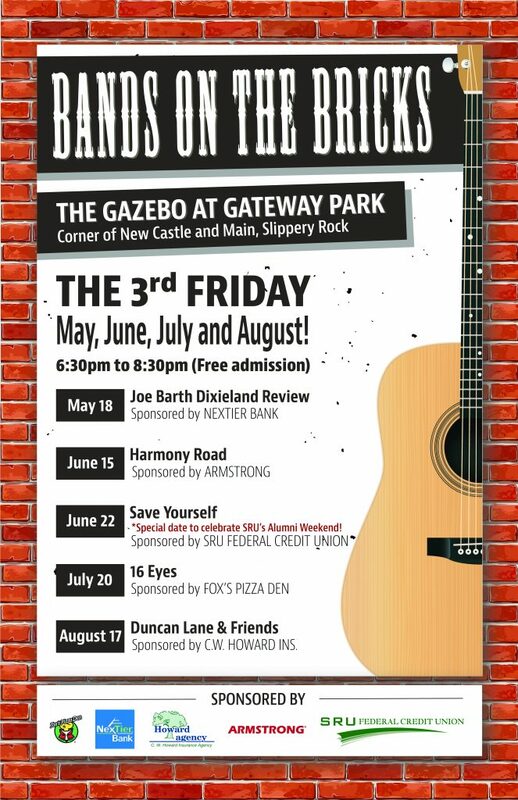 Slippery Rock Farmers Market is returning to the heart of Slippery Rock for the 2018 season! 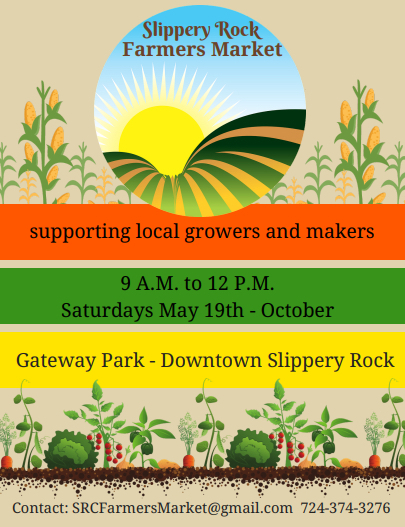 The market will open on Saturday, May 19th in Gateway Park, along Route 108 between Elm and South Main Streets. Market days and hours will remain the same: 9:00 AM until 12:00 noon, every Saturday into October. Market managers thank Rock Falls Park for hosting the market since 2011 and honor the work that co-owners Todd and Ron have done for us through those years. 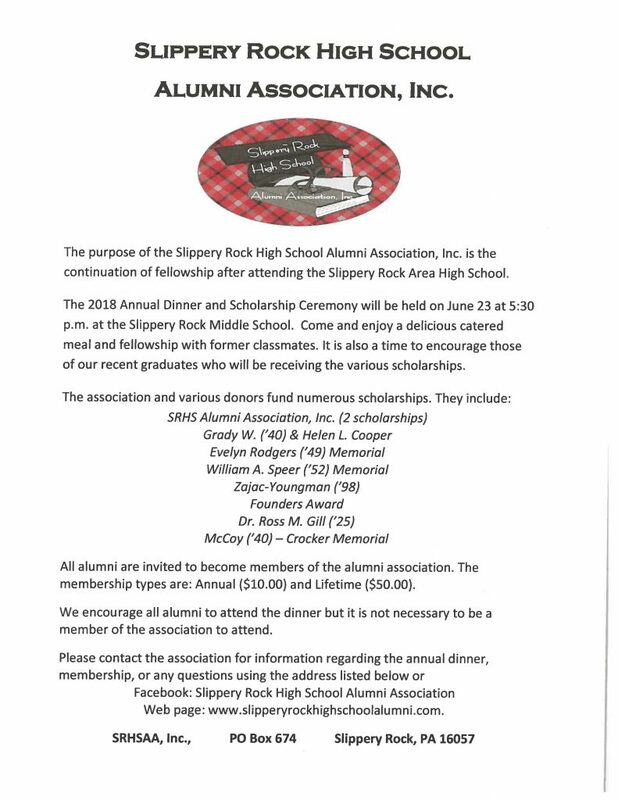 This year the market will be sponsored by Slippery Rock Development, Inc. 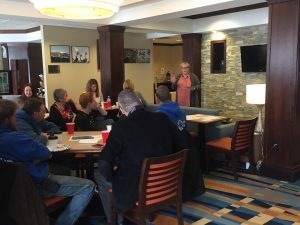 The change in location will afford exciting opportunities to partner with local businesses and to maintain the market’s reputation as a friendly, community gathering place. Because the market aims to support local growers and makers, the produce sold is grown locally, and is seasonal. 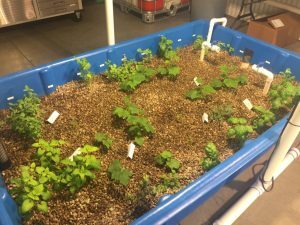 In May, you likely will find vegetable, fruit, and flower seedlings and plants for transplanting into gardens and landscape beds. Early spring greens, herbs, radishes, asparagus, and rhubarb will be available as these mature during the weeks ahead. Vendors also will offer a variety of fresh and preserved foods, including grass-finished beef, eggs, goat milk fudge, jellies, breads and other baked goods. Unique handcrafted items, such as natural soaps, hair and skin products, jewelry, and decorative pieces may be available as well. You’ll find that while some vendors come in and out over the season, as their vegetables and fruits are ready and ripe, others may have fresh or homemade items on a regular basis. Watch the market’s Facebook page https://www.facebook.com/SRCFM/ for updates that will tell you what you can expect to see at the market and what special events are scheduled as the season progresses. Help us spread the word, and come often to see what the market has to offer!